Every health insurance contract that provides hospital, medical, or surgical benefits must also provide coverage for behavioral health treatment (BHT) for pervasive developmental disorder or autism. BHT includes Applied Behavioral Analysis (ABA) and other evidence-based therapies to treat autism. Every health insurer must maintain an adequate network that includes qualified autism service providers. The treatment plan must be prescribed by a licensed physician, surgeon or developed by a licensed psychologist. Start by working with your child’s Primary Care Provider to learn about appropriate services. The treatment plan must have measurable goals over a specific timeline, reviewed every six months, and must not be used for the reimbursement of respite, day care, or educational services. Health care insurers may require prior authorization, copayments, or other cost-sharing for BHT. Visit limits may not be imposed for medically necessary speech or occupational therapy for autism. Even if the policy excludes or limits these types of treatment, the law entitles insureds with autism to coverage for all medically necessary behavioral, speech and occupational therapy. 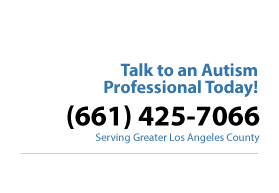 Click Here for more autism Insurance-related information visit the California Department of Insurance.